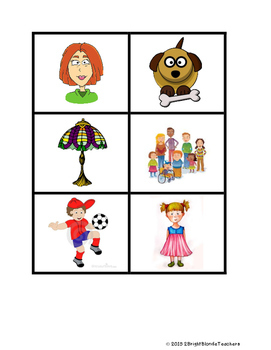 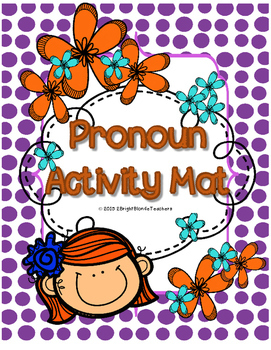 This activity mat allows students to work with nouns and pronouns in a sentence, by matching up nouns with an appropriate pronoun using picture clues. 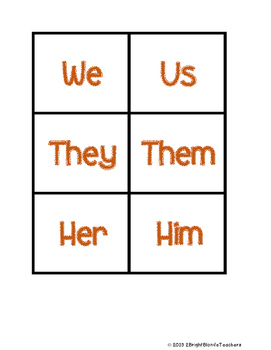 Students can write sentences using pronouns, as well as sort and match cards. 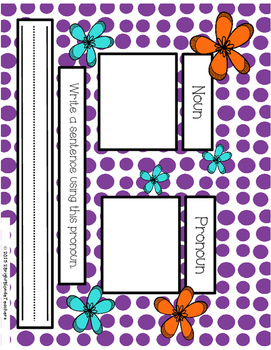 Low-prep, fun, and colorful, this simple activity is great for centers, small group, review, and so much more!